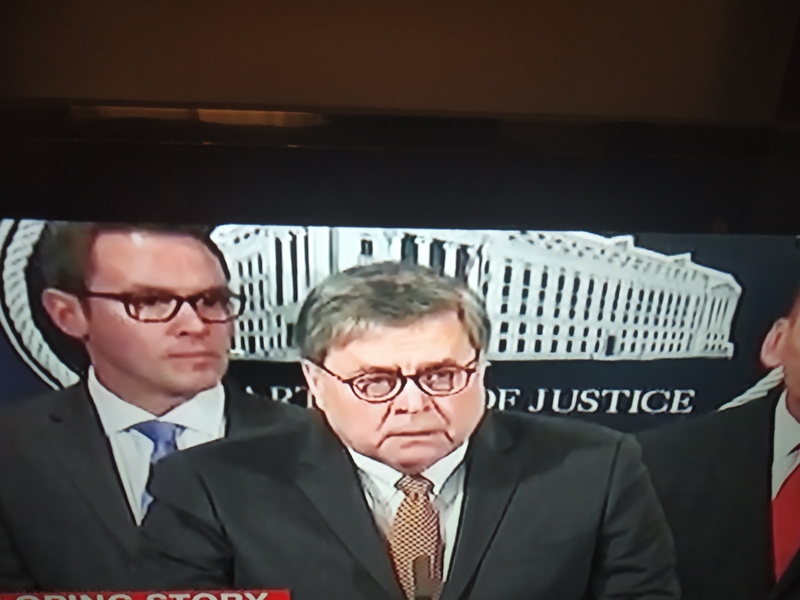 ” Mist Dispelled with A.G. William Barr Report ” – March 24, 2019. President Donald Trump has been granted a Second Term within his First Term given the 4 page principal conclusions of A.G., William Barr, spelling out no evidence of Conspiracy or Coordination between the Trump Campaign and Russia in 2016 Election. President Donald Trump now claims “complete and total exoneration” and “illegal takedown that failed” regardless of what can happen days into the future. 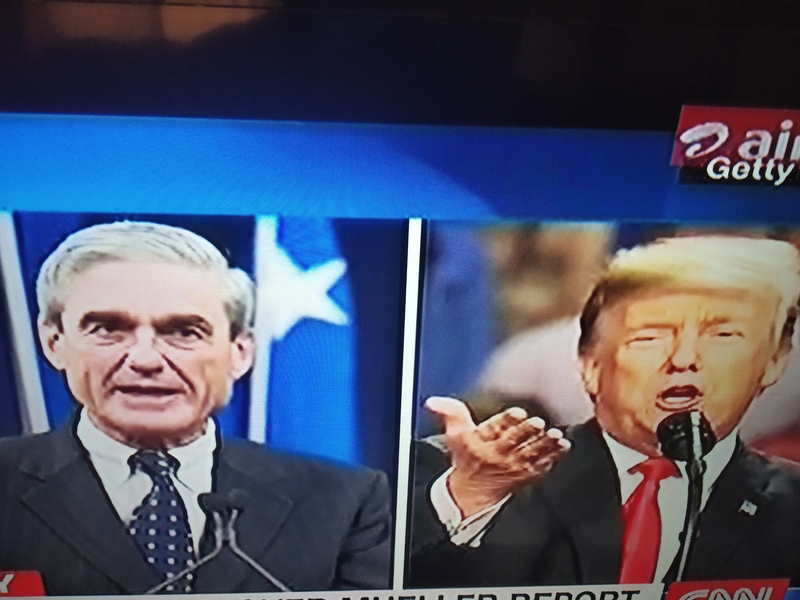 As the entire world was going through synaptic hyperactivity in their brains with a host of information/disinformation, confounding propaganda, and expert conjectures/opinions; it is important that the conclusions (as at present) make everyone recognise imperatively the American System born out of the idea that an investigation of great significance as the one involving the President (the First Individual) has been allowed to be successfully completed without an iota of interference or disturbance to the team of investigators. America scores a victory that is special here. There is already clamour for the full report and the underlying documents to be given to the Congress (and the public should also know it) raising the possibility of further determination clearly. Two things need for the Top Event to happen. An ‘incitant’ and an ‘irrational response by either party’ . At the next level the above two conditions are further expanded. ‘Strong calls for further determination’ by the party, and a ‘clear irritation to one party’. These will constitute the sub events. There is no doubting that the Democratic Party is the one that is clearly irritated here (at this moment). At the next level, we’ll set to expand the underlying causes further for the two sub events. 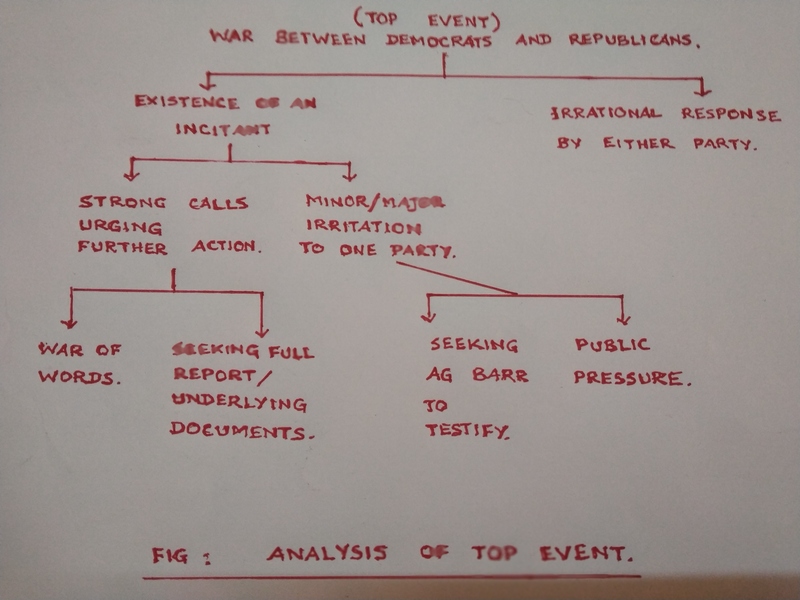 ‘War of words’ between parties and ‘seeking the full report/underlying documents’ for the first sub event ; and ‘extreme public pressure’ and ‘seeking A.G. William Barr to testify under oath’ for the other sub event. We can also assign a probability for the Top Event to occur statistically, but that will need a good amount of data to be generated, or waiting until data is generated. This is the first test in my risk assessment management framework to determine whether the level of risk can be held acceptable or is severe requiring immediate corrective action. There is no standard criteria for a clear assessment here. Anybody can contribute so a set of our own criteria for acceptability or otherwise can be formulated. We can further develop this figure with more information and inputs as they emerge. Tidbit : ” Democracy : Government by popular ignorance ” – Elbert Hubbard.